The DeLorean is coming back to the present, thanks in large part to Back to the Future. The DeLorean DMC-12 is one of the most iconic cars of all time. Now, the gull-winged cars are going back into production – this time with a 300 to 400 hp engine, and up-rated tires. The original DeLorean cars went into production in 1981, but only 9,000 were made before the company went bankrupt in early 1983. There are few other cars that had such a brief lifespan and such a lasting impact. 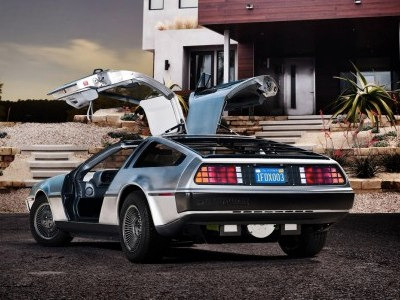 The DeLorean was only originally in production for less than two years. However, in that brief period it gained cult status and became an unlikely symbol for fictional time travel thanks to the Back To The Future trilogy. Now, more than 30 years later, the car that was immortalized in 1985’s Back to the Future is to be brought back into limited production – next year.